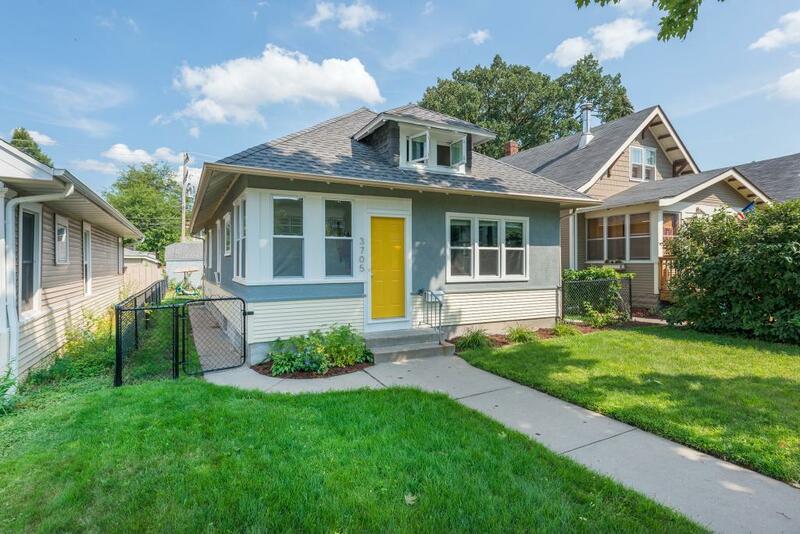 Welcome home to this charming S. Mpls Bungalow! Brand new windows amplify the sunshine and the whole home gets AMAZING natural light! Great transition space for guests + large living room + formal dining room + open kitchen= AMAZING entertaining space! Kitchen boasts ample counter space, farm sink, granite counters & SS appliances (including dishwasher!). Great backyard w/ patio for gardening, relaxing or watching the dog play (fully fenced). This is a true GEM! Walk to Tiny Diner & coffee shop!